It's time to add the fun artwork of Las Vegas native Michael Godard to your basement or game room bar. Do you already have Godard artwork in your game room? 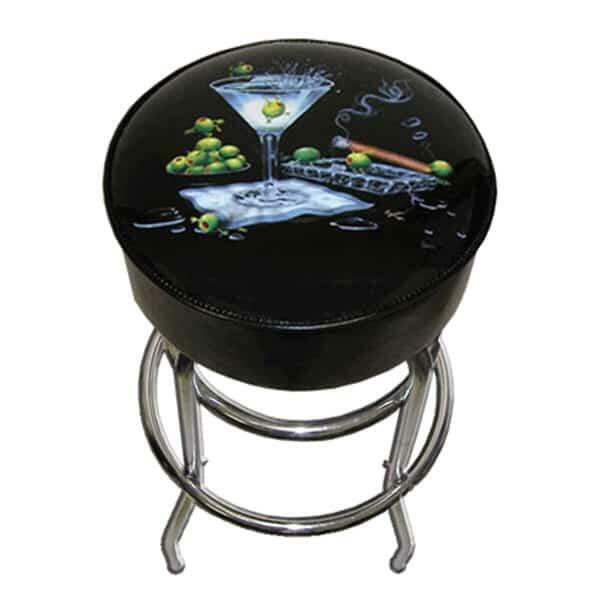 This Bar Stool features the familiar olive characters that made Godard the rock star of the art world, so we promise it will look great under your bar. Not familiar with Michael Godard? His artwork features fun Las Vegas themes and scenes of smoking cigars, rowdy olives and lounging lizards, perfect for any man cave with a billiard table, poker table and/or a dart board.